There might be some truth to the notion that there are too many Mattress Firm stores. Houston, Texas-based Mattress Firm filed a lawsuit October 30th in Harris County, Texas District Court alleging that its Atlanta based master broker Alex Deitch was at the center of a “massive, multi-year fraud, bribery, and kickback scheme" that also involved senior real estate executives at the bedding retailer. The lawsuit claims Deitch worked alongside top Mattress Firm real estate executives Bruce Levy and Ryan Vinson (among the 17 defendants named in the case) to defraud the retailer out of potentially millions of dollars. "The bribery, kickback, and fraud scheme was a pay to play loop where each played a distinct and necessary role" according to the lawsuit. At the time of the alleged scheme, Deitch was a senior vice president and principal at Colliers International Atlanta, one of the city’s largest commercial real estate brokerages. This year, Deitch was named No. 4 retail producer by the Atlanta Commercial Board of Realtors and is a lifetime member of its Million Dollar Club. 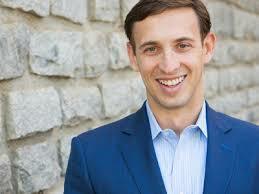 An Atlanta native and 2003 Clemson University graduate, Deitch joined Colliers in January 2006. In 2010, Mattress Firm hired Deitch as its master broker, responsible for selecting new locations and negotiating leases regionally. During the course of the alleged scheme, Mattress Firm opened more than 1,500 stores and hundreds of leases were renewed, says the lawsuit. Deitch brokered about 800 of those leases, the lawsuit says. 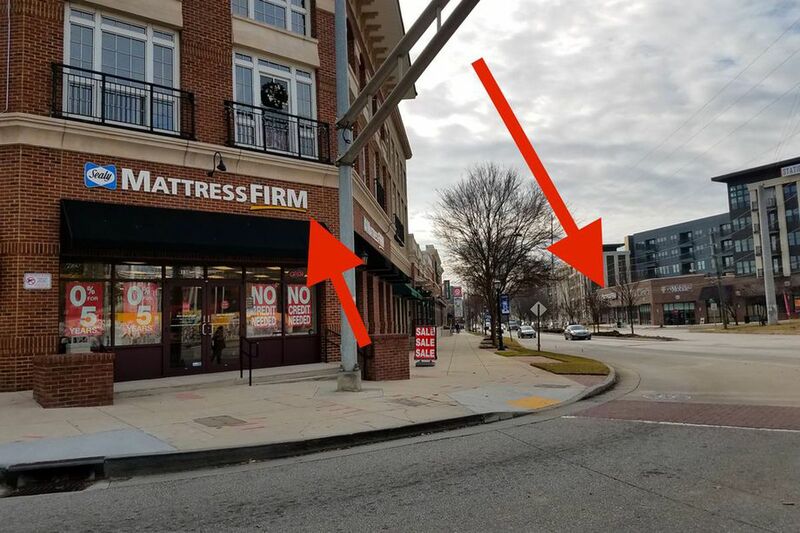 “Riding the volume of business the [Mattress Firm] real estate account brought to Colliers Atlanta, Deitch quickly rose to become one of that firm’s top producers,” says the lawsuit. Deitch's alleged co-conspirators in the scheme were Bruce Levy, then Executive Vice President of Real Estate & Construction for Mattress Firm, and Ryan Vinson, then Senior Vice President of Real Estate for Mattress Firm. Levy joined Mattress Firm in 2008 after holding executive real estate positions with a variety of other large retailers including Petco, Blockbuster and Office Depot, over a career that spanned about two decades. Vinson joined Mattress Firm's corporate team in 2010, before which he was a franchisee of eight Mattress Firm stores in Alabama and Tennessee. Mattress Firm is the nation’s top specialty bedding retailer with more than 3,400 company-operated and franchised stores across the country. The suit alleges that the trio was responsible for some 1,500 new stores during their time leading Mattress Firm's real estate efforts, as well as hundreds more lease renewals. Many of those properties were allegedly owned by an “inner circle” of developers — also named as defendants in the lawsuit — who provided kickbacks and gifts to Deitch, Levy and Vinson in return for favorable Mattress Firm deals. In order to push their self-serving store growth, the trio allegedly presented Mattress Firm's real estate committee with "falsely optimistic sales forecasts" and "misrepresented the projected per-store sales for leases," the lawsuit alleges. "The bribes, kickback, and fraud further harmed MFRM [Mattress Firm] by causing it to misallocate resources by causing it to open unnecessary stores, thereby harming the sales of existing stores nearby," according to the suit. In other words, the company apparently finally looked at the Google Map that ToNeTo Atlanta and its readers had looked at years ago and wondered why the heck they had four stores in a two block radius! Curbed Atlanta published an article this year wondering why there was a need for two Mattress Firm stores across the street from one another on Moreland Avenue. That said, mattresses do offer one of the best profit margins in retail. What the suit seems to suggest is that the company has experienced cannibalization of existing store sales following some of the more recent store openings. Interestingly, three popular searches on Google for "Mattress Firm" are "mattress firm money laundering, " "why are there so many mattress firms next to each other" and "mattress firm conspiracy theory." Among the allegations in the 47-page lawsuit, Mattress Firm claims Deitch, on behalf of the company, agreed to inflated rents and abnormally long lease terms for Mattress Firm stores, thus earning higher commissions. He also allegedly set up shell companies including an entity called Chase Ventures LLC (registered to his home address in Atlanta) to covertly acquire properties that Mattress Firm was to lease, placing him in a position to profit from both sides of the transaction, according to the lawsuit. The company was tipped off to the alleged wrongdoing in 2016 by an unidentified party outside of Mattress Firm. Mattress Firm also accuses Deitch of charging bogus developer fees in excess of $50,000 per store. "On information and belief, this bogus $50,000 payment scheme was perpetrated by Deitch and Levy numerous times and generated funds for them to perpetuate their joint investments and other schemes alleged herein." This portion of the scheme alone may have cost Mattress Firm at least $40 million in unnecessary rental payments.  A developer who was involved in at least one Atlanta area Mattress Firm deal spoke to ToNeTo Atlanta on condition of anonymity and indicated that he had heard that "if Deitch was involved in the deal, he'd want a piece." The developer further indicated that his [Mattress Firm] broker [not Deitch] explained the retailer's aggressive expansion as a way for the company to "block out competition." The lawsuit alleges Deitch worked with a preferred group of developers [also named as defendants in the lawsuit] who made “millions of dollars in profits” by flipping Mattress Firm stores with above-market rents, in some cases mere weeks after signing the exorbitant leases with the retailer. Those developers, in turn, gave kickbacks to Deitch, Levy and Vinson in the form of “lucrative business opportunities and extravagant gifts,” says the lawsuit, such as free hotel stays, expensive dinners, and exotic trips. In its lawsuit, Mattress Firm lays out several specific examples of Deitch's alleged unethical activities. In one case, the lawsuit claims Deitch’s company Chase Ventures purchased a property in Rogers, Arkansas, where a Mattress Firm store was planned. Deitch allegedly assigned the property to a special purpose entity to hide his ownership interest. “The lease was two years longer than the average [Mattress Firm] lease duration with monthly rent substantially above-market. Based on the artificially inflated income stream from this above-market lease, the landlord in which Deitch, through Chase Ventures, held an undisclosed equity interest, sold the property three months after the lease was executed for a substantial profit,” says the lawsuit. The lawsuit specifically names Nashville-based Oldacre McDonald, Illinois-based Quattro Development, Florida-based Win-Development and Kirkland, Washington-based Madison Development Group as developers in the trio's "inner circle" who profited from the sales of multiple Mattress Firm properties and their exorbitant rents and extended rental terms. ToNeTo Atlanta confirmed earlier this week that Deitch was terminated from Colliers last week for what a source claimed were violations of certain Colliers-specific policies. A representative from Colliers furnished ToNeTo Atlanta with the following response to our inquiry into the suit. "At this point, Colliers is not aware of any information to substantiate the allegations made against it, and it specifically denies Mattress Firm's claims. 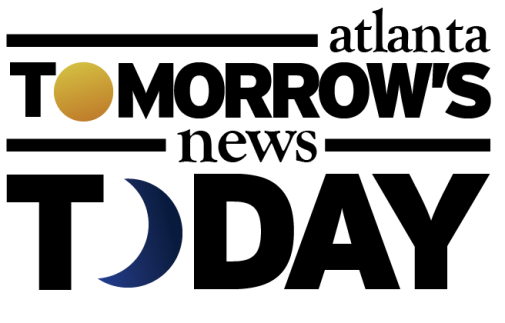 Colliers is in the process of investigating this matter thoroughly and, therefore, is not currently in a position to make specific comments regarding the allegations in the complaint. Colliers hopes to address this matter so that it can be dismissed as soon as possible. Alex Deitch is no longer with Colliers. It is our understanding that he is focusing on retail development and investment going forward. Colliers brokers have one key goal; to work hard to represent the client's interests and achieve the client's objectives at all times. Our professionals conduct their business activities in an ethical and responsible manner on behalf of all of our clients." A local Atlanta real estate professional told ToNeTo Atlanta that they had heard of [Alex's] "questionable activities" last year and figured there was nothing to them since he continued to do deals and be employed by Colliers. When contacted via LinkedIn earlier this week, Deitch seemed to suggest he would respond to ToNeTo Atlanta with a comment but never did, and has since deleted his LinkedIn profile as well as his Facebook and Twitter (@RetailWolverine) accounts as well. Upon further inquiry, Kevin Ward, partner with Schulten Ward Turner & Weiss, LLP, who is representing Deitch, furnished ToNeTo Atlanta the following statement. "Mr. Deitch denies the allegations made in the petition filed by Mattress Firm. All of his business dealings were conducted in good faith and in the best interests of Mattress Firm. He intends to defend the lawsuit in court." Ward declined to comment about specific allegations in the lawsuit, but said the firm would file an answer in the Texas court by January, according to a statement he provided Bisnow. Although the suit does not provide an exact termination date, it is believed that Levy and Vinson were terminated just before the acquisition. Vinson's LinkedIn profile, which unlike Deitch's is still active, indicates that he was with Mattress Firm until May 2016. Levy's LinkedIn page, which is also still active, indicates he is still an employee of Mattress Firm. The lawsuit alleges that the duo admitted [in 2016] that they received numerous items from Deitch, including cash, loans, an expensive watch, trips to places like Europe and the Dominican Republic, and expensive bottles of wine. Ward told Bisnow that he expects both Levy and Vinson to deny the allegations as well, despite the fact that the lawsuit seems to suggest that Levy spilled the beans on the alleged operation after being terminated, seemingly admitting guilt in an effort to save himself. 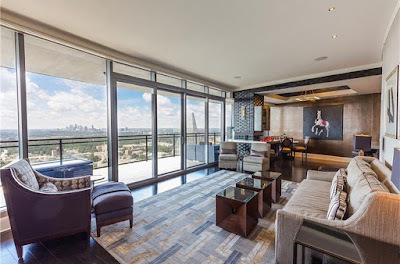 Deitch, who married in a lavish ceremony in France this past spring, purchased a $1.2 million condo in Buckhead's 3344 (Sovereign) building in 2013. Sources tell ToNeTo Atlanta that Deitch also owned at least one Ferrari and a Range Rover. The two bedroom, two and a half bath 34th floor condo was placed on the market earlier this summer, citing $500,000 in upgrades with an asking price of $1.6 million. The price was reduced last month to $1.5 million. 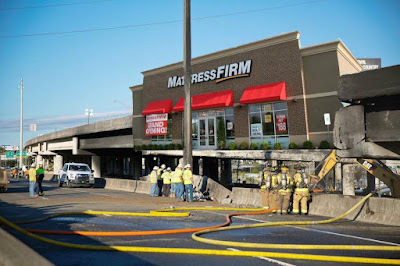 When made aware of the suit earlier this week, the head of real estate for another retailer told ToNeTo Atlanta that they were "not surprised" by the suit, but at the same time were looking forward to the possibility of snapping up leases that [Mattress Firm] may try to terminate. Are you surprised to hear that there may in fact be too many Mattress Firm stores? Do you work in commercial real estate and believe that this kind of behavior could go undetected for so long? Where did you buy your last mattress? On the bright side I'm looking forward to the clearance sales! This is only the "tip of the iceberg" of the shady misrepresentations happening in Mattress Firm stores every day. Pigs get fat and hogs get slaughtered. A lesson to learn here. Slow and steady wins the race. People who try to take short cuts always end up getting caught. Brokers have a fiduciary responsibility to represent their client. Remember that. “May have too many stores.” This is interesting. They just woke up one day and said “wait a minute! I think we may have too many stores! How could this have happened?” Really? There are several locations all over that are within a mile of each other. They are worse than Starbucks or even Waffle House about the redundant locations. What company doesn’t know how many stores they have? Mattress girl culture is destroying their business? There are no less that three Mattress Firm retail stores in East Cobb. One is a on Mr. Gattis Pizza building, and two on Roswell Road (GA 120)- in the Home Depot Providence Square Shopping Center and just east in the Merchants Exchange Shopping Center. This story would make a great episode of American Greed. Colliers is may be in trouble as it sounds like management in the Atlanta office were aware of the scheme based on Levy's statements in the Plaintiff's original petition. These type of actions tarnish the industry and reputation of the vast majority of brokers and developers who do take the fiduciary relationships seriously. I wonder if anyone will get jail time for defrauding clients of tens of millions of dollars?